I never used a lock until I got a berth in my present marina. They aren't all that common in Australia. The one I use is at the entrance to the marina, and it works very well. Each berth holder is issued a remote control to control the lock, giving us 24/7 access. A button for each gate; one to equalize and open the other gate; and an emergency stop button. All very simple. It is a bit slow taking maybe 10 minutes to get through, depending on the tide. Opening the sea side gate requires a pedestrian bridge to automatically retract, along with the necessary safety gates, flashing lights etc, taking a bit of extra time. The lock is about 80 feet long allowing 2 boats the size of mine, although it is rare to get more than one boat passing through at a time. The only design problem is the horizontal I-beams on each of the gates. I have heard of boats drifting forward until the bow rail touches the gate. 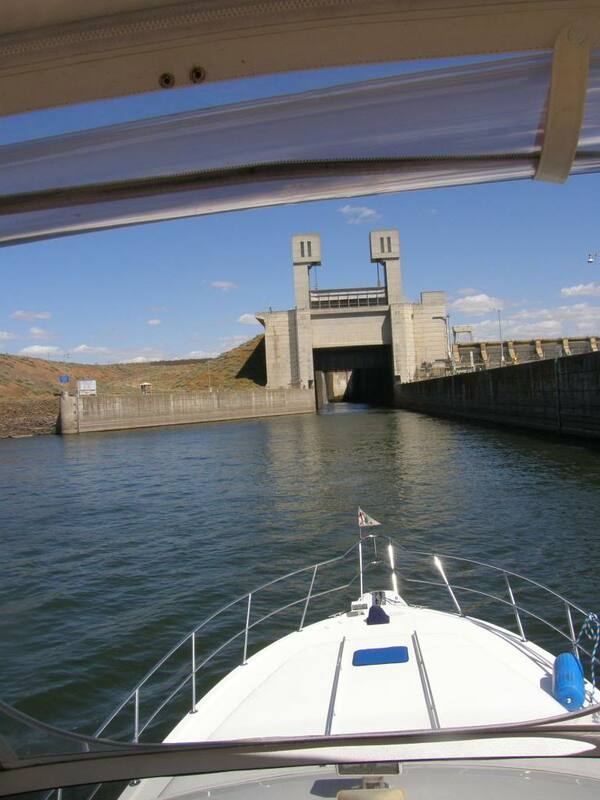 If the lock level is rising, the bow rail can get caught under the I-beam while the water level rises. Not good. Obviously its a good idea to keep your distance. 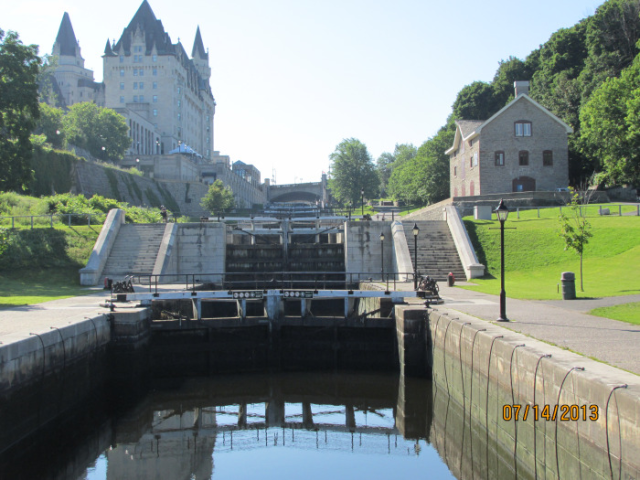 Here are a couple pics of locks near to us from one of our summer trips. One has about a 47 ft lift, the other just 20 ft.
Our " local" cruising grounds have locks that have lifts from 25' to 110' in a single lift, the smaller that are the better in my opinion. We once entered one of the big locks in the pics during very windy conditions... the lock master reported gusts in the low forties.. it made for very interesting maneuvering inside the chamber. Although I only locked through once, it was quite an experience. 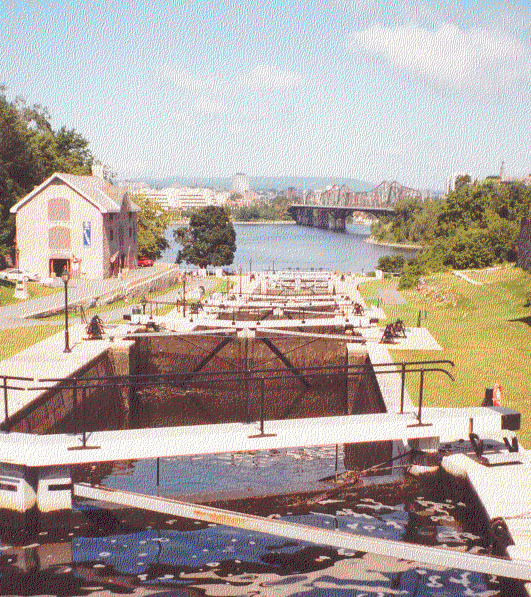 The flight of 8 locks in Ottawa, Canada. 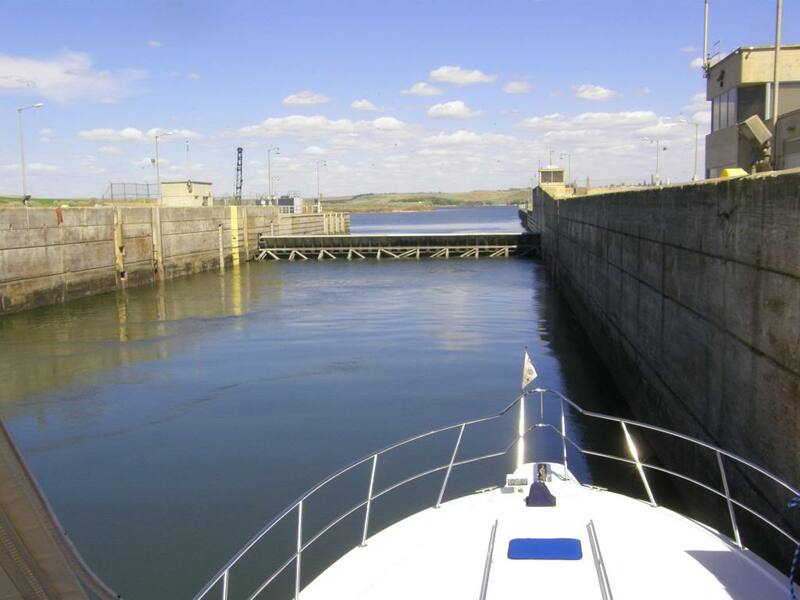 We're headed out tomorrow for a 3-day trip up the Snake and will be going through this lock twice...tomorrow and Sunday as we return. It's always an adventure! This is L&D #25 on a trip south on a friends boat to Port Charles marina near St. Louis, this is as far south as I've been on a boat. I wish ours were that big. This one in Montezuma Slough is 20 ft wide. Greetings. No hostory of any county is complete without canals. Check out FALKIRK WHEEL to see wonderful technology. 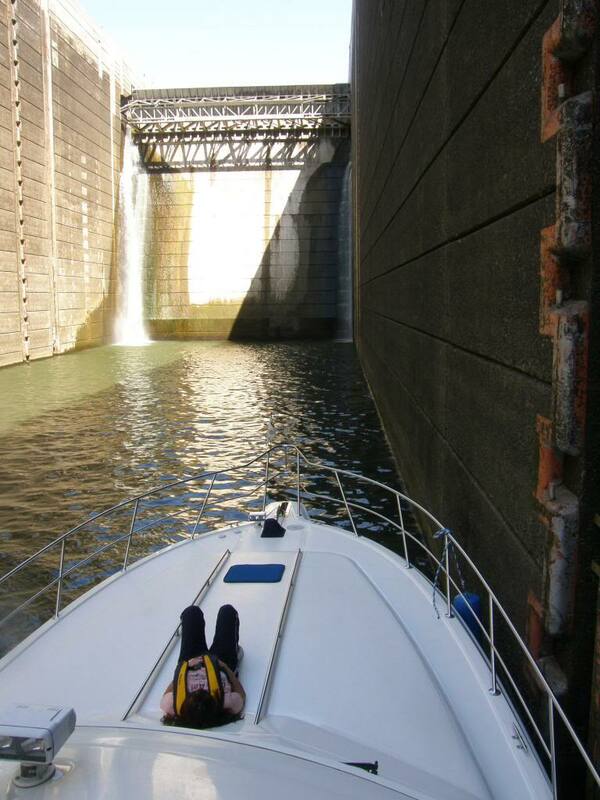 On the Trent-Severn there are three wonderful feats, the two lift locks and the Big shoot. I posted these pics on another thread, but I'll put them here as well. This is the Hiram Chittenden locks in Seattle which is run by the Army Corp. of Engineers. Two locks (one smaller and one large) which allow boat passage between Puget Sound and Lakes Union and Washington via the Ship Canal, sometimes called the Montlake Cut. 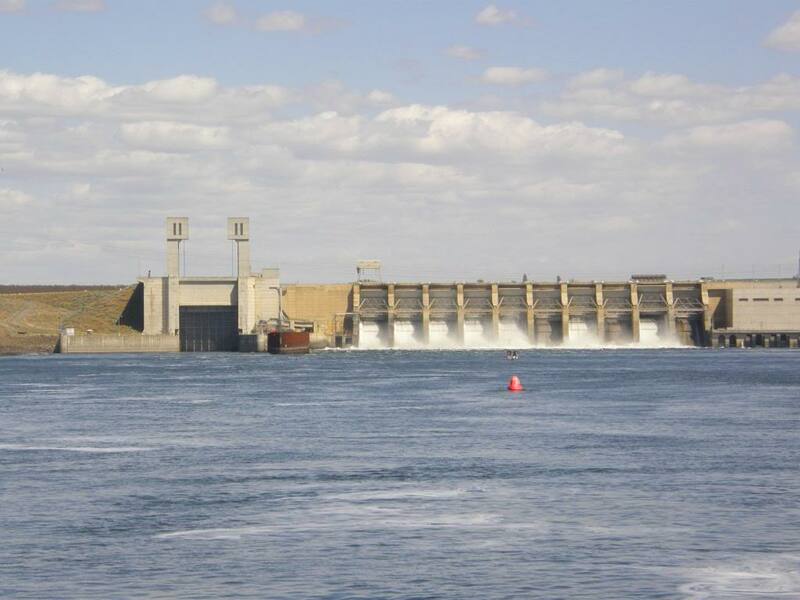 There is also a retention dam and fish ladder for the passage of salmon and stealhead. I don't have a local lock but I am we'll over 100 locks into the great loop. My favorite by far was the flight of eight locks going up into Ottawa. 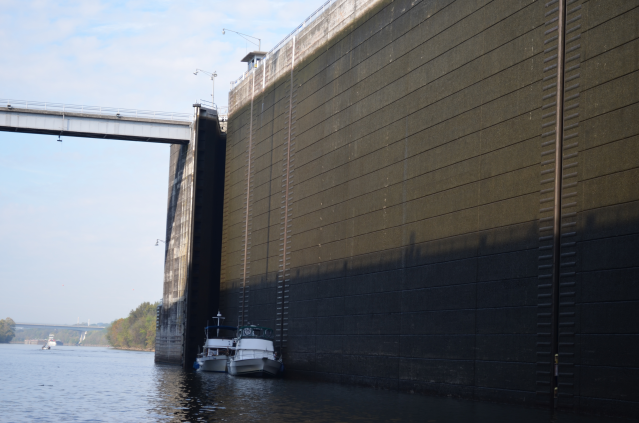 Here's KaJen (second boat) last week in the Wilson Lock on the Tennessee River.